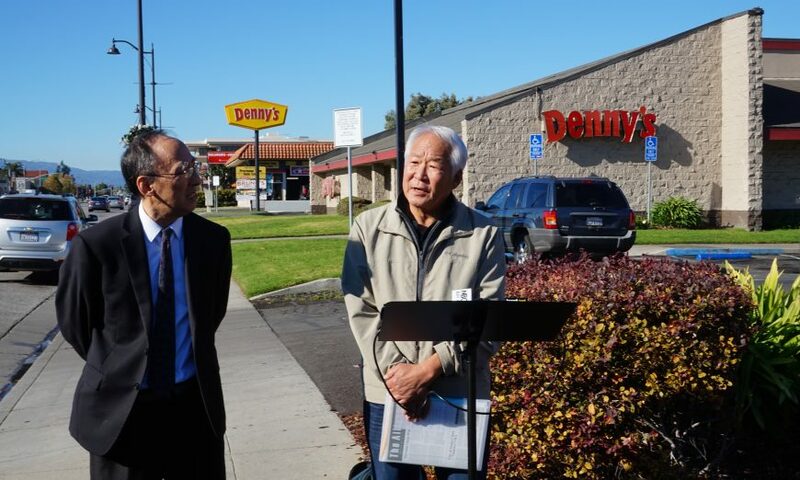 A Denny’s Restaurant on El Camino in Santa Clara is the target of allegations that it discriminated against a group of elderly Korean American customers. The incident happened Easter Sunday, April 1, 2018, when a group of 10 Korean Americans were having coffee in the restaurant. The manager, according to the ALA’s account, rudely demanded that the group order food. “They kept saying the same thing: you cannot just order coffee,” said Andrew Koh, one of the customers. “So I said, OK, we’re going to order food. And then she raised her voice: ‘No, no, no, no! '” The group was then told to leave. The restaurant also refused to honor Koh’s AARP and veteran’s discounts. “They said, ‘we don’t do this,'” he said. According to Denny’s corporate website the company offers a Veteran’s Day discount for veterans. 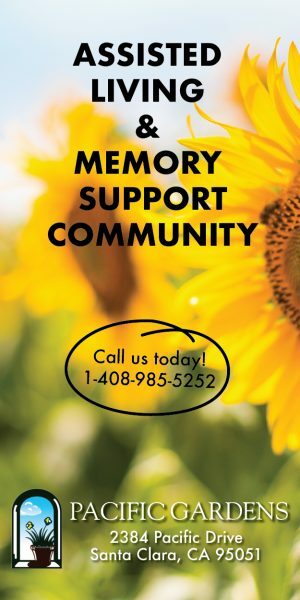 The AARP and Veterans Advantage insurance company have negotiated discounts for their members with the restaurant chain. 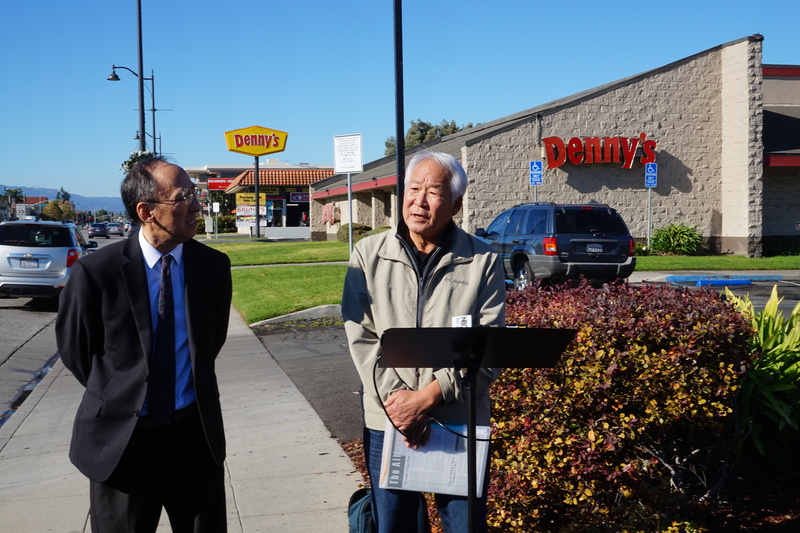 Denny’s has refused to respond to a request for dispute mediation by the California Department of Fair Employment and Housing, according to the ALA.
“I just want an apology,” said Koh. The Denny’s manager could not be reached.